A history lesson and a sporting adventure all in one. That’s what we at Experience Gaelic Games are offering you! All in the spirit of Irelands ancient and most loved pastimes. We Preach – You Play! Experience Gaelic Games will take you out of your usual environment into the realms of Gaelic Culture. Ireland prides itself on its ancient past. Gaelic Games is a major part of that past. Today Experience Gaelic Games offers you the chance to open the door into the Gaelic World. It’s all fun! Learning and mastering the skills of three Irish sports before competing with your friends, colleagues, family members or soon to be family members for the honour of your own pride. The sporting segment comprises of three unique sports Hurling, Gaelic Football and Gaelic Handball. Prior to that we will give you a deep insight into what the sports mean to the populace of Ireland and the participants that carry their honour. You will marvel in the thrills of our three major sports. Above all, you will gain an appreciation of Irish sporting culture in a fun filled atmosphere. 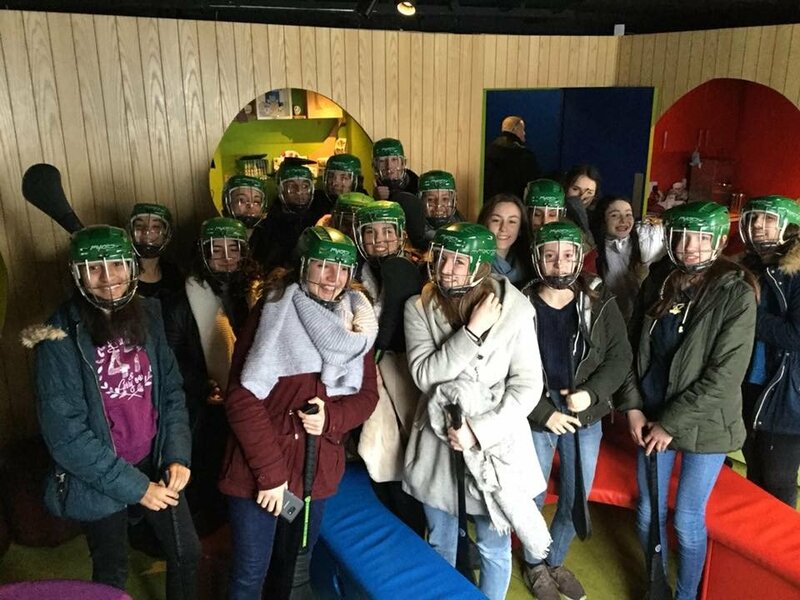 It’s ideal for school groups, stags, hens, corporate activity or simply an avenue to learn something about Ireland you probably never heard of before. Patrons as young as five to as old as eighty have mastered the craft of Gaelic Games with Experience Gaelic Games. Our emphasis is to ensure our guests have a great, fun filled Irish Experience. We strive to give you an authentic and realistic experience of ancient Ireland through Gaelic sport. As we say – we preach, you play. Why not do it for yourself today. So, if you are looking for a fun activity in Dublin, open the door and step into the Gaelic world with Experience Gaelic Games! It’s your time to play! Thanks to Georgina & the lads for putting up with the English-lads for Jon Lloyds Stag weekend. Great photos, wonderful homely at atmosphere with guinness & sarnies at half time! what could be better. Hope the Gaelic sports go olympic & international, great fun!